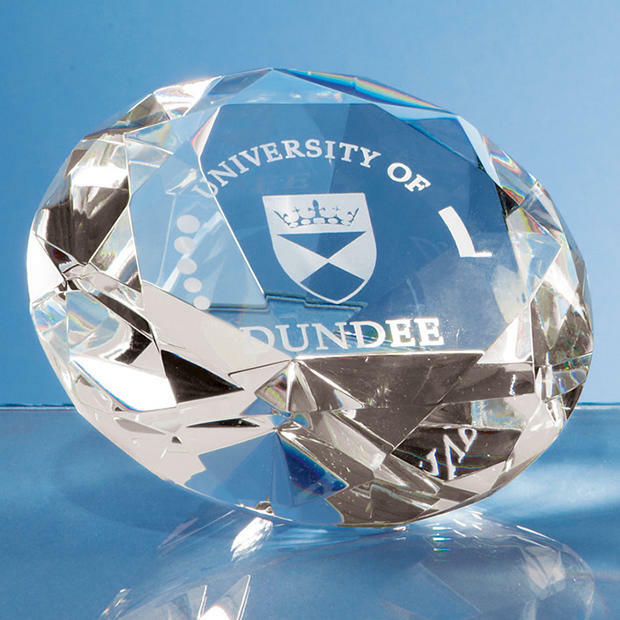 This optic diamond paperweight, has a beautifully colourful effect when it reflects off the many handcut and polished facets round the paperweight. The flat area on the front of the paperweight can be engraved with your text or logo, making it perfect for Sports, Corporate or Personal events. * Please note that the prices shown do not include artwork origination charges, delivery or VAT.